There’s a certain level of satisfaction in this three-minute video. When it comes to car videos, slow-motion types are fun to watch. Every detail of the vehicle is carefully showcased, while its action is somehow stylized further, frame by frame. Honestly, we always feel a certain level of satisfaction when watching cars doing it in slow-mo. It’s like reaching the most unreachable part your ear; it’s just indescribable. You know which other things we love the most? Toys. And we know you do, too. That’s why this video of remote-controlled Bronco models prancing about in the beach is such a gem to us. Just take three minutes of your time and watch the video above. 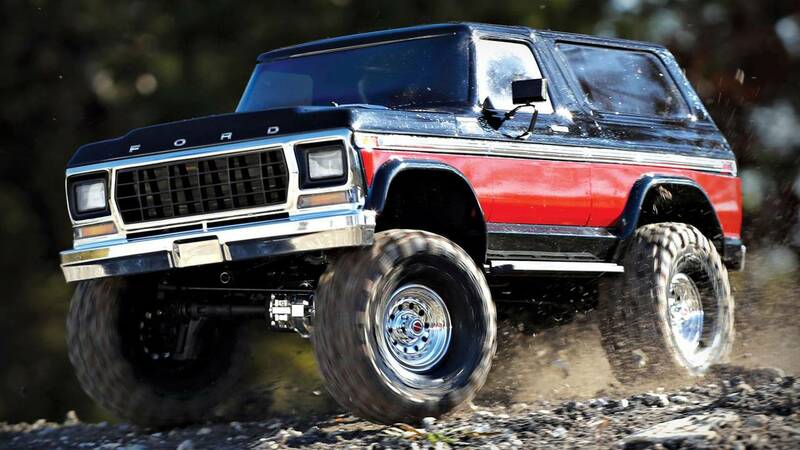 With the imminent revival of this iconic Ford SUV, we can’t say we didn't get excited by watching the toy versions of its predecessor play on the beach. The R/C toys are Traxxas TRX4 Broncos, which are power by Lectron 5200mah 2s Lipo and Venom 5000mah 2s Lipo batteries. Both toy SUVs are also fitted with accessories, to wit: Traxxas TRX4 Light Kit, 10wt Shock Oil, Traxxas TRX4 Spare Tire, and Traxxas TRX4 Push Bar. What we love about it is that they look so realistic, we actually thought they were until we saw the video’s description. Plus, the scenery looks really great and somehow matches the Broncos’ macho appeal. According to the description, the whole slow-motion video was shot using a Samsung Galaxy S9+. We’re really impressed about its production value. We highly suggest that you watch it in HD so you could see the unbelievable details of the R/C SUVs. Going back to the upcoming Bronco, its all-new model will be shared with the Ranger pickup truck. It will be a real, no-compromise, body-on-frame 4x4 built to take on some of the toughest terrains – just like in the video here.